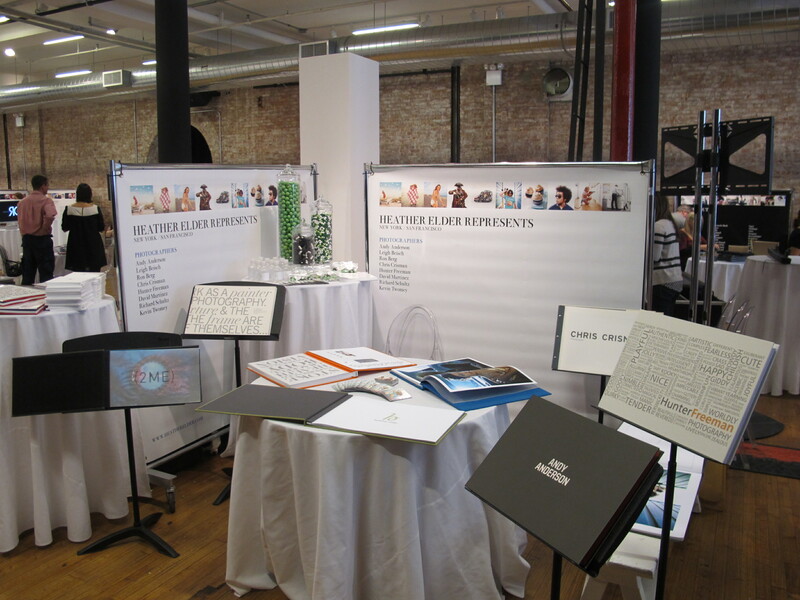 A week in NY – a recap of Le Book and Community Table. What a week. Truly. Thank you NYC for being such a great host. It started off with our second installment of Community Table, a little birthday fun and then two full days of Le Book Connections NY. By the end of it all, I had no voice, was 5 pounds heavier and was asleep on my feet. But, it was all worth it – every second of it. The week started with a our Community Table event at The Crosby Street Hotel. Matt Nycz and Kate Chase of Brite Productions joined Lauranne and I in hosting our second round table with area art producers to discuss the issues top of mind for many photographers in our community. We hosted 12 seasoned art producers from various agencies. It was an incredible site to see such dynamic and creative women sitting around the table ready to share their experiences with those in our community. Once again, Matt was the only male in the group and we loved him for that. We talked about so many different topics such as marketing, agencies hiring producers, pro bono, client’s understanding of usage, cost consultants, social media and promo trends to name a few. We look forward to sharing the conversation with everyone once we transcribe and edit our notes. We realized when it was over that a perfect evolution for The Community Table would be to next time consider talking about just ONE topic. Maybe production, maybe estimates, maybe usage to name a few. That way, we can truly discuss the many layers of the topic without the need to move on to the other topics. We hear over and over that the art producers enjoy this event not just because they are excited about the conversation, but because they enjoy seeing each other. We feel the same way. It is rare that we can see each other out of the work setting and it felt very much like a community. Exactly the point. The Le Book event proved just as powerful. Two full days of non stop connections. The energy was high and the creativity flowing. People were excited to walk the room to see old friends, make new ones and see what is happening creatively out there. Once again Le Book Connections provided a casual environment for agents and clients to meet and share work. • The weather was perfect. This made a huge difference in attendance. As well, I heard a rumor that Le Book worked hard to space out the attendees so that there was never a HUGE rush of people but rather a steady and manageable stream. If that is true, it worked! • A few of the photographers in the group had new portfolios which were fun to show off. Many clients who came by recognized that they were new – this made all the effort in creating them worth it. • Once again, we met MANY contacts from client direct companies. This is VERY important to us because we find that these targets are hard to come by with regular channels. • Our portfolios stood out among the sea of iPads and black leather portfolios. We had colorful covers that attracted people to our table. And, the interiors were well designed and always a crowd pleaser. And, those malt balls were once again a hit. Funny how that works. • Le Book does a great job of attracting people from all over, not just NY. It was so wonderful to see our friends from Chicago, San Francisco, Minneapolis, Las Vegas, Los Angeles, Miami, Texas and of course New York. • The cocktail party at the end of each evening was, as always, a hit. This year, we were in a section that was not very lively so to attract people, we decided to hire a bartender (a very hot bartender!) to mix martinis. Between the shaking sounds of the shaker and his nice biceps, we had men and women racing to our booth. Money well spent and a tradition we will surely continue. • The cocktail party is truly one of the best parts of Le Book. The energy changes slightly and made me think (well Kate Chase put the idea in my head) that Le Book should consider changing the time to the event to later in the afternoon through to later in the night. Just when the party gets going it is time to leave. Just a thought…. • We also met a lot of other rep and vendors. This is such a special part of the event. The idea of connecting with these people as well is powerful in that can increase our community and feel less like we are operating in a vacuum. • Our blog was also an effective draw to the booth. People came up to us and shared how much they appreciated the conversations we started and the information we shared. Many people would let us know their favorite posts. It felt good to know that all the effort we put into it pays off. Fellow agents always ask me if I think Le Book is worth the money. I do not hesitate to say yes, especially for the photographers. In our group they split the cost so for them it is very affordable and a small part of their marketing budget. They get a lot of bang for their buck for these two events. Let me be clear, it is not inexpensive. But on a per person basis it is a reasonable amount of money for the access we receive. I just wish there was more opportunity for them to experience what we do. Now, for us. It is much more expensive. Between the travel, the shipping, the promos, group portfolio creation, coverage in the office, booth design, martinis and hot bartender, it is much more expensive. That said, if I look at the bottom line of what we spend and I think about who we meet and connect with, I still say YES YES YES. There is no other event that we can see as many people under one roof whom are so open to connecting with us as at Le Book. Lastly, I should point out that SO many people helped to make this event a success. Thank you Alex, Patrick and all of your team at Le Book – you were attentive and ON IT! Thank you to all of our photographers for taking our to do list seriously and providing us with the tools needed to brag about your properly. Thank you Lauranne for all the coordination, handling of missed deadlines, partnership and of course friendship (and taking a photo of me and Kurt from Glee!!). And to Henrietta for being there beside us to help put our best NY foot forward. To Cheryln Quan of Heat for your design help, Nicole Anderson of BookArts for your mastery of book making and Wolf Prints for providing our group portfolio with prints that rivaled all others at the event- I know this because SO MANY PEOPLE said so. And, finally to Taya Curtin http://www.nabookarts.com/ for putting up with all the travel changes and every other detail that we had to think and rethink about. And of course, finally, to everyone who attended and brought with them an openness to make new connections and see new work. If you like what your read, please do consider sharing and of course subscribing list so you can receive emails whenever we post something new (top right hand corner of the blog). This entry was posted in Community Table, Events, Name Dropping, Notes From A Rep's Journal and tagged Community Table, Le Book, Name Dropping. Bookmark the permalink. 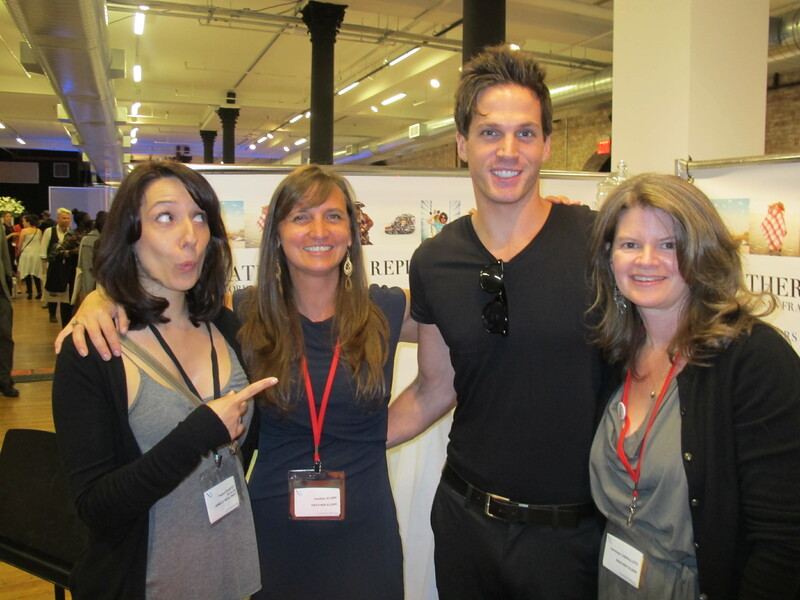 Were you at Le Book NY 2012? Check out our photos and see who was there.